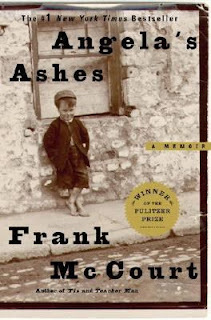 Frank McCourt died Sunday, July 19, 2009 at the age of 78. He is best known as the author of "Angela's Ashes" which was published in September 1996 and spent 117 weeks on the New York Times Bestseller list. Frank McCourt taught English and creative writing in the New York City public schools for twenty-seven years. He was 66 years old when he published his first book "Angela's Ashes". "All I had was this story. It took me two years and all my life to write it." The story of his poverty stricken Irish childhood sold more than 4 million copies worldwide and was translated into 20 languages. It was also turned into a movie in 1999.